In 1920, owner Merton A. Sybert opened the Strand Theatre with screenings of Norma Talmadge’s “The Branded Woman” and Fatty Arbuckle’s “The Garage.” Early attendees paid 17 cents or 33 cents to see films at the $100,000 theater, which featured 1100 seats, a pipe organ, central heating, and “Class A” fire safety due to its steel structure. 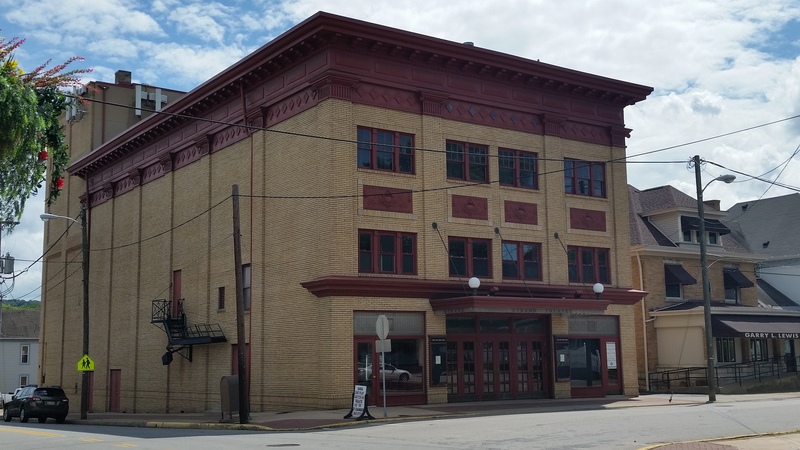 Along with movies, the theater showcased vaudeville performers, minstrel acts, and plays – with its performers often traveling to Moundsville on showboats along the Ohio River. The Strand showed first-run films until its closure in 1968, and then again during a twenty-year period of operation from 1976 to 1996. 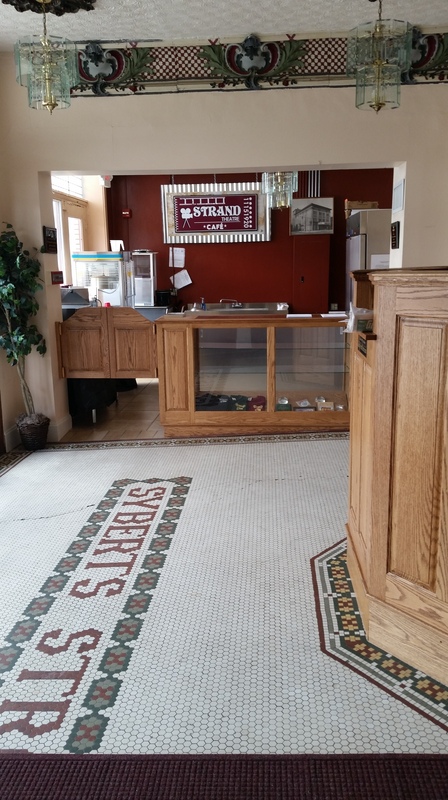 In 2002, the nonprofit Strand Theatre Preservation Society was founded to restore and reopen the Strand as a performing arts venue. With the help of funding from the State Historic Preservation Office, the National Trust for Historic Preservation, and other sources, and with work from numerous volunteers, the long process began. The many projects included restoring the Neo-Classical style exterior, with its decorative cornice and other ornamental metalwork; replicating the long-gone, original marquee and the poster cases underneath it; rewiring historic chandeliers and other light fixtures; and repairing the movie screen. New seats, paint, carpet, and restrooms were added as well. The Strand finally reopened in 2014. Today, the Strand Theatre hosts plays, musicians, and films.